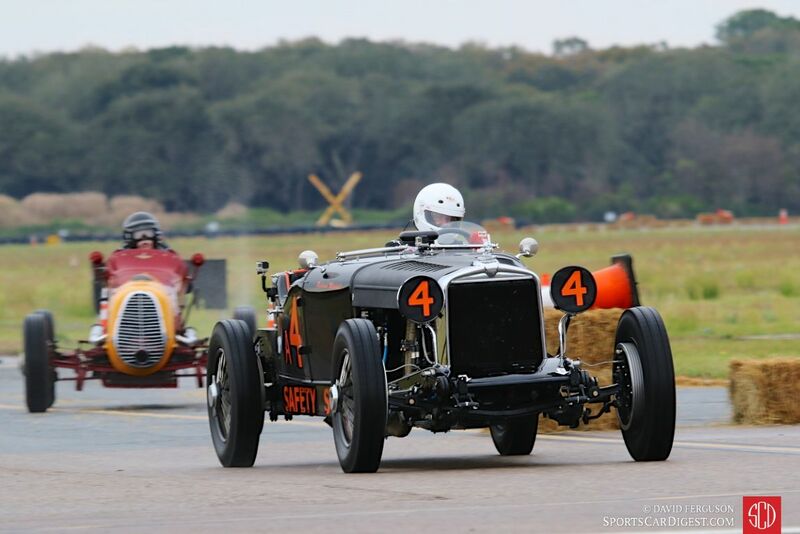 The inaugural SVRA Amelia Island Vintage Grand Prix took place on March 18-20, 2016 at the 2.1-mile Fernandina Beach Airport in Amelia Island, Florida. 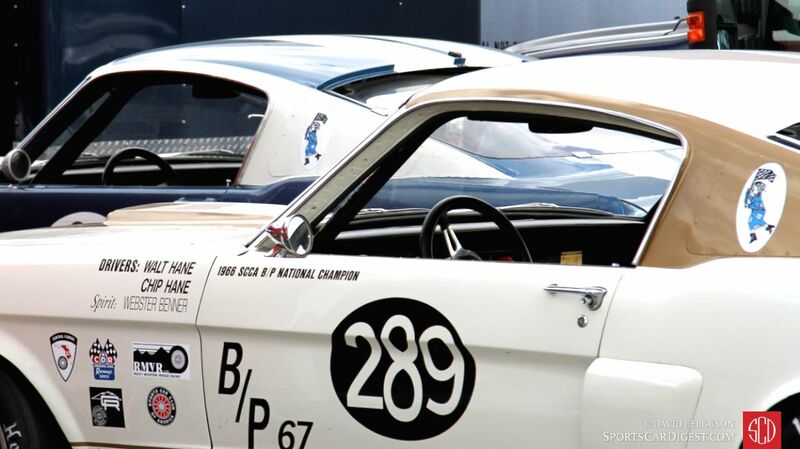 Held the week after the Amelia Island Concours d’Elegance, the event was a revival of the races originally held at the airport from 1963 through 1974. 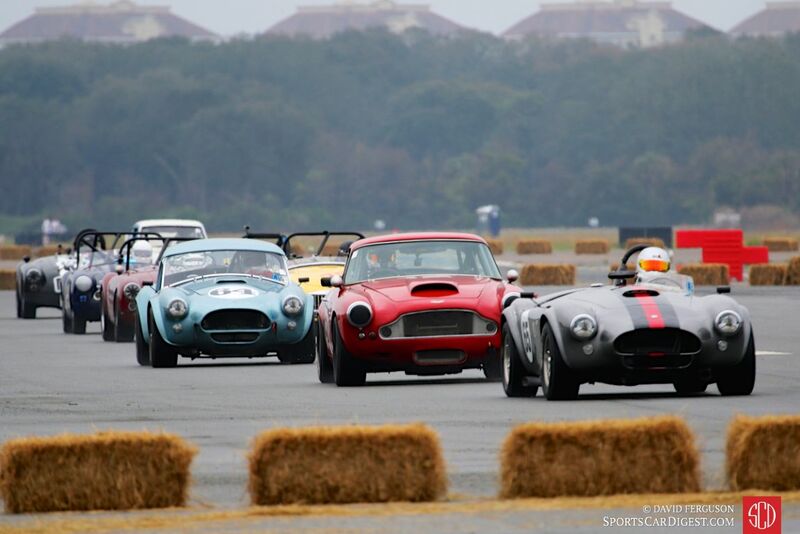 About 125 cars in eight racing groups entered the Amelia Island Vintage Grand Prix 2016. Most of the cars were from the 1960s and ’70s, but they ranged from 1928 racers — Ray Morgan’s Riley Brookland Special and Robert Tone’s Ford Speedster — to the 2014 Porsche Cayman driven by Shane Lewis. Lewis was participating in the Stuttgart Cup which has become a fixture in many vintage events. Many feel they do not belong, and perhaps they are right, but it’s interesting to see a class of relatively modern cars to visualize where racing is and where it was side-by-side. 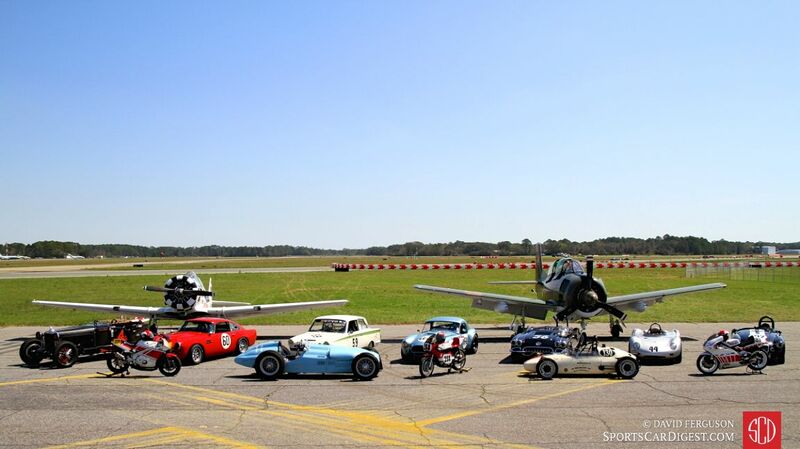 There were also about 25 vintage motorcycles and a handful of vintage airplanes adding flavor to the event. Interesting entries included Dennis Bigioni’s 1948 Talbot-Lago T26C, Richard Mitchell’s 1929 Stutz Blackhawk, Theo Bean’s Aston Martin DB4, Larry Ligas’ sweet sounding 1961 Daimler SP250 and the Cobras of Phil Mulacek, a 427 cid and a 1964 289 cid. The forecast called for a rainy and stormy race weekend, yet fortunately the weekend was dry except for some early morning rain. Despite the threatening weather, there was a good spectator turnout. 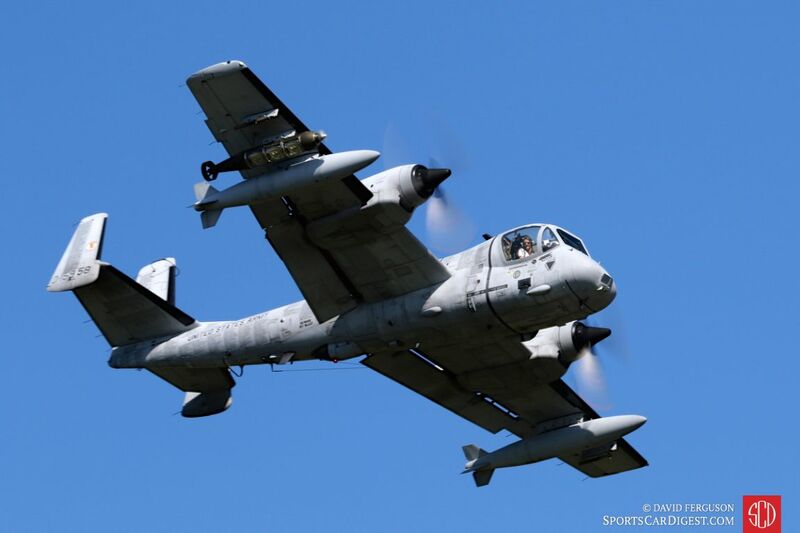 They were treated to a very good show, with interesting cars and motorcycles, good racing and fly-overs by interesting airplanes. Airport races, just like carburetors and ignition distributors, are a thing of the past, and for good reason. Racing venues have progressed over the decades and now provide comfort, safety and viewing pleasure unheard of decades ago. Yet this is perhaps the best reason to have them again. It’s a reminder of how participants dealt with races back then. There was a lot of sharing, improvising and just doing without, and it made us better people. At least for the weekend. Tony Parella, President and CEO of SVRA, and his staff put together a great event. It was a monstrous task. They had no blueprint to guide them, and they had to deal with local authorities, the FAA, TSA, the local country club and uncertain weather. As with any first time event, there were unexpected issues to deal with, yet, to SVRA’s credit, the event went off smoothly. Races ran on schedule, and spectators and participants left happy. Well done. Sports Car Digest documented the 2016 Amelia Island Vintage Grand Prix by SVRA, with photographer David Ferguson providing the following selection of images from the debut event. We split up the pictures into two galleries. The first gallery starting below features our favorite images, all displayed in the full-width view of Sports Car Digest, while the second gallery can by found on the last page of the gallery and gives a comprehensive view of all the photographs. Great photos as always Dave. Wish I could have been there! Dave as always great shots of the event!! Next year let’s touch base and have you get some shots of the Thursday “car tour” to downtown Fernandina Beach as I’m in charge of putting that together! 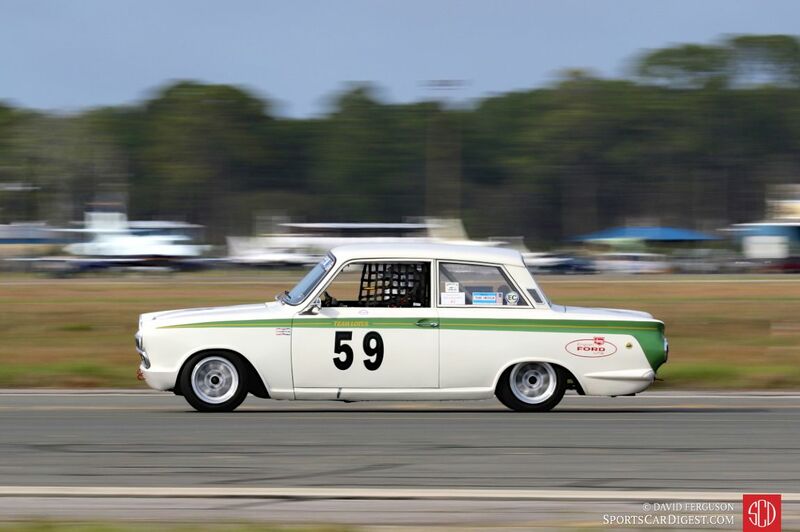 Central Florida Region of the SCCA actually conducted races at Fernanda Municipal Airport in beginning in 1962. My dad, Charlie Earwood, was the Race Co-Chairman with Porsche racer Bill Bencker who worked for Brundage Motors in Jacksonville, later to become Brumos. I have the first program from the “Golden Crown Prix” Divisional Championship race. Great times and great memories. Fun event but very inaccurate report. I was there. Closer to 25 cars than 125. It DID rain in the afternoon. I was there. Kinda typically SVRA disorganized – a quote from a participant. Watch out for track Nazis, no provisions for photographers unless you are one of the chosen. No way to get close to the car. Take binoculars except for one grandstand on the front straight. Too bad this was the same weekend as the Sebring 12. I don’t know why Anonymous would say what he posted. You will find me on page 5 driving the Nerus #25. There were every bit of 125 cars at the event. You can count a half dozen in that photo alone and group5-7 had about 15 cars to start the weekend. We are usually a small group. I thought that the preparation and organization was outstanding considering the challenge at a totally new venue and the weather that was a factor, though much nicer than forecast. I got 5 sessions on a dry track out of the 6 scheduled.